Feb 3 (AZINS) Senior BJP leader Arun Jaitley hit out at Congress leader of opposition Mallikarjun Kharge for opposing the appointment of new CBI director RK Shukla and termed him a regular "dissenter". "Kharge dissents regularly. He dissented when Alok Verma was appointed, dissented when Alok Verma was transferred and has now dissented when RK Shukla has been appointed. 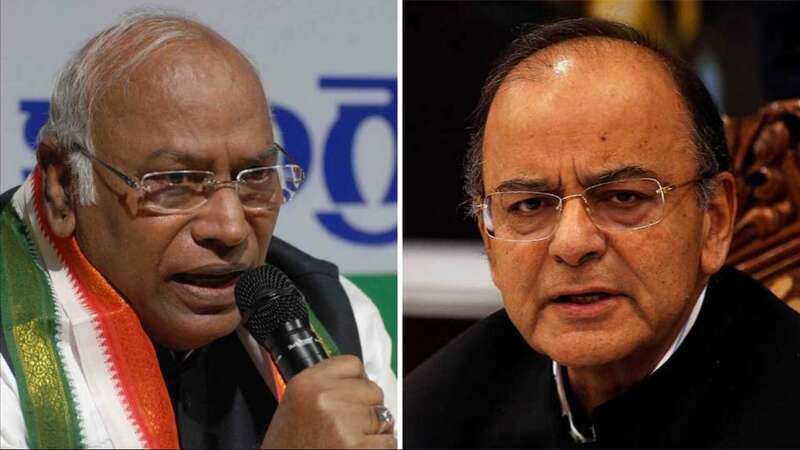 The only thing constant in the High Powered Committee comprising of the Prime Minister, the Chief Justice of India and the Leader of the Opposition which deals with the CBI Director's appointment and transfer, is the Kharge dissent," Jaitley said in his latest blog post. The comment comes a day after Kharge, who is a part of the Selection Committee headed by Prime Minister Narendra Modi, opposed the appointment of Shukla, the former DGP of Madhya Pradesh, as the new CBI director. Kharge wrote to the Prime Minister soon after the appointment was announced, contending that Shukla has no experience of anti-corruption investigations and that "seniority cannot be the only criteria in an appointment to such a critical post." In response to this, Jaitley claimed that Kharge was "coloured by his political views" while acting as a member of the Collegium that decided the appointment. "When the Leader of Opposition sits as a Member of the Collegium, he sheds off the political colour of his office as much as the Prime Minister and the Chief Justice of India shall both leave the authority of their respective domains and work exclusively towards appointing or transferring the Director on the criterion of merit or fairness. The position of Kharge as the Leader of Opposition in the Lok Sabha, entitles him to sit in the Committee but the political colour of that office has to be left outside. Kharge then is a part of a Collegium, which discharges a governance function. Unfortunately, that does not seem to have happened," said Jaitley. He also said that the right to dissent is sacrosanct and has to be sparingly used. "A dissent should never be a political tool. The right to dissent is sacrosanct and has to be sparingly used. If a dissenter dissents on every conceivable occasion he comes out as a person either motivated by collateral reasons or as a person lacking objectivity," said Jaitley. "There is a difference between the dissents as a part of a judicial body and dissents in ordinary matters of administrative appointments. The first may involve sacrosanct principles and the latter involves a preference or a dislike for a particular individual," he added. Jaitley also said that if in an administrative matter of appointment or transfer, Kharge dissents on every conceivable opportunity, namely on the appointment of Alok Verma, transfer of Alok Verma and the appointment of R. K. Shukla in relation to the CBI Directorship it clearly established a pattern of his frame of mind. "He uses the weapon of dissent excessively and not objectively. Using the instrument of dissent recklessly neutralizes its value. Dissents frequently used in administrative bodies like Collegiums compels independent observers not to take the dissent too seriously. The perpetual dissenter in a Collegium meant for appointments sends a message that he was included as a Member because of his capacity of Leader of the Opposition but he hasn't been able to shed his role as an Opposition Member, even though now he is a part of a Government Committee. His dissent has diminished it value and credibility," said Jaitley. In conclusion, Jaitley said "The appointment of a CBI Director was never envisaged to be a political battle. Kharge has made it look like one."